"The first chemical engineer of any eminence"
Edward Charles Howard FRS (28 May 1774 – 28 September 1816) the youngest brother of Bernard Howard, 12th Duke of Norfolk, was a British chemist who has been described as "the first chemical engineer of any eminence." In January 1799 he was elected a Fellow of the Royal Society and in 1800 awarded their Copley medal for his work on mercury. He discovered mercury fulminate, a powerful primary explosive. In 1813 he invented a method of refining sugar which involved boiling the cane juice not in an open kettle, but in a closed vessel heated by steam and held under partial vacuum. At reduced pressure, water boils at a lower temperature, and so Howard's development both saved fuel and reduced the amount of sugar lost through caramelisation. The invention, known as Howard's vacuum pan, is still in use. ^ Walker, William (1864). Memoirs of the distinguished men of science of Great Britain living in the years 1807–1808. London: E. & F. N. Spon. pp. 63–64. ^ Transactions of the Institution of Chemical Engineers (1951), volume 29, page 163. ^ "Library and Archive Catalogue". Royal Society. Retrieved 21 November 2010. Kurzer, F. (1999). "The Life and Work of Edward Charles Howard". Annals of Science. 56 (2): 113–141. doi:10.1080/000337999296445. 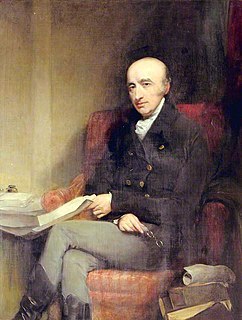 Howard, Edward (1800). "On a New Fulminating Mercury". Philosophical Transactions of the Royal Society of London. 90 (1): 204–238. doi:10.1098/rstl.1800.0012. JSTOR 107053. Sears, Derek W. (1976). "Edward Charles Howard and an early British contribution to meteoritics" (PDF). J. Br. Astron. Assoc. 86: 133–139. Archived from the original (PDF) on 20 March 2009. Mercury(II) fulminate, or Hg(CNO)2, is a primary explosive. It is highly sensitive to friction, heat and shock and is mainly used as a trigger for other explosives in percussion caps and blasting caps. Mercury(II) cyanate, though its empirical formula is identical, has a different atomic arrangement; the cyanate and fulminate anions are isomers. The percussion cap, introduced circa 1820, is a type of single-use ignition device used on muzzleloader firearms that enabled them to fire reliably in any weather conditions. This crucial invention gave rise to the caplock or percussion lock system. The Wold Cottage meteorite fell near Wold Cottage farm in 1795, a few miles away from the village of Wold Newton in Yorkshire, England. Jean-Baptiste Biot was a French physicist, astronomer, and mathematician who established the reality of meteorites, made an early balloon flight, and studied the polarization of light. The mineral biotite was named in his honor. William Hyde Wollaston was an English chemist and physicist who is famous for discovering the chemical elements palladium and rhodium. He also developed a way to process platinum ore into malleable ingots. Silver fulminate (AgCNO) is the highly explosive silver salt of fulminic acid. Fulminic acid is a chemical compound with a molecular formula HCNO. Its silver salt was discovered in 1800 by Edward Charles Howard and later investigated in 1824 by Justus von Liebig. It is an organic acid and an isomer of isocyanic acid, whose silver salt was discovered one year later by Friedrich Woehler. The free acid was first isolated in 1966.
, is a pseudohalic ion because its charge and reactivity are similar to those of the halogens. Due to the instability of the ion, fulminate salts are friction-sensitive explosives. The best known is mercury(II) fulminate, which has been used as a primary explosive in detonators. Fulminates can be formed from metals, such as silver and mercury, dissolved in nitric acid and reacted with ethanol. The weak single nitrogen-oxygen bond is responsible for their instability. Nitrogen very easily forms a stable triple bond to another nitrogen atom, forming nitrogen gas. Richard Neil Zare is the Marguerite Blake Wilbur Professor in Natural Science and a Professor of Chemistry at Stanford University. Throughout his career, Zare has made a considerable impact in physical chemistry and analytical chemistry, particularly through the development of laser-induced fluorescence (LIF) and the study of chemical reactions at the molecular and nanoscale level. LIF is an extremely sensitive technique with applications ranging from analytical chemistry and molecular biology to astrophysics. One of its applications was the sequencing of the human genome. Charles Romley Alder Wright FCS, FRS was an English lecturer in chemistry and physics researcher at St. Mary's Hospital Medical School in London, England. He was a founder of the Royal Institute of Chemistry. Herbert McLeod, FRS was a British chemist, noted for the invention of the McLeod gauge and for the invention of a sunshine recorder.